Today, more and more companies are replacing their blogs with more efficient and effective social media tools. Companies have come to realize that Facebook, Twitter, and Tumblr simply require less expense, resources, and time than maintaining a company blog. In fact, the percentage of companies with blogs dropped to 37 percent in 2011 from 50 percent in 2010, according to a recent survey by the University of Massachusetts Dartmouth of 500 fast-growing companies listed by Inc. magazine. USAToday.com reported on this rapidly spreading trend that’s showing how social media can deliver more and demand less than blogging. The loss of consumer interest in company blogs has also been a factor in the move away from blogging. This trend is increasingly being seen at companies of all sizes, from large global brands to small local businesses. Some have simply stopped updating their existing blogs, while others have opted to only use social media tools rather than beginning a blog at all. 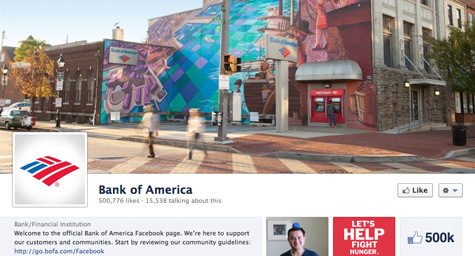 Bank of America halted its blog in favor of social media as a way to stay connected to consumers. The company redirected its marketing efforts toward social media networks because they wanted to be where their customers were. “Companies often underestimate the amount of work a blog requires,” says Pete Steege, director of marketing communications and Web strategy for Rimage, a digital storage device maker. In addition to the heavy commitment of time and resources, other companies had little success with blogging because they didn’t understand how to develop compelling content. The companies that do manage to create engaging blogs find that their posts allow for promotional and publicity opportunities, as well as a way to generate customer feedback. “Engaging blogs can serve crucial marketing goals — especially executives out to establish expertise in their industry,” said Scott Monty, head of social media at Ford. While some businesses are saying goodbye to blogging and seeing that connecting with customers through social media can offer much greater personal, promotional, and profit value, blogging remains one of the most critical aspects of SEO despite the proliferation of social signals as ranking factors. The ability to publish content that attracts quality links and provides fodder for social media channels depends heavily on a company’s capability to develop premium blog content. You can’t do effective SEO or social media marketing if you don’t publish blog content. Yet no matter which platform companies choose for connecting and communicating with consumers, content is ultimately king and quality content is still critical to every communications and marketing effort. To implement an effective content creation stream and increase the success of your SEO and social media marketing, contact MDG Advertising today at 561-338-7797, or visit mdgadvertising.com.